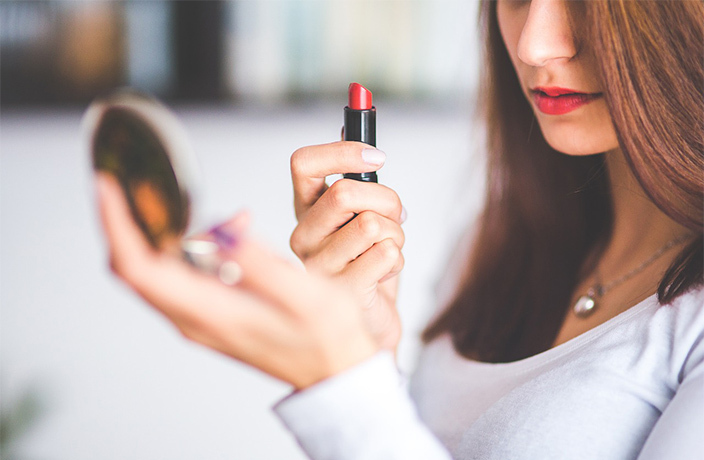 Are you tired of using the same old makeup products every day? Need some brand new items to revamp your beauty routine? Quty has you covered with an affordable range of products that won't break the bank. Because looking great doesn't have to be expensive! Save big when you order Quty items right now on thMart. From now through November 11, you can purchase their products for up to 50 percent off as part of thMart's Double 11 promotions! If you're looking for longer, more beautiful lashes, then you need to try this mascara. Available in a shade of rich black, this long-lasting mascara can increase lash length by up to 30 percent and is easy to remove. The silicone brush fits perfectly around the eye and is designed with natural silk protein, which delivers deep moisturization to the eyelashes. You deserve a better brow pencil. Available for just RMB15 for a limited time only, this deluxe pencil is waterproof, long-lasting, smooth and easy-to-remove. Your eyebrows will be looking more defined in no time! These brow pencils are available in three different colors: coffee, light brown and dark brown. Looking for a quick touch up on the go? Then get yourself this new Quty Dry Wet Pressed Powder two-in-one. Apply makeup anytime, anywhere with this portable and compact makeup powder, which you can apply either dry or wet. It is also super long-lasting and waterproof, making it the perfect product for those long, rainy days. Buy yours right now for just RMB50 at thMart! thMart is a new one-stop online shopping site that lets customers buy a range of products seamlessly, from anywhere, on the go, with shipping available across China. Compatible on both desktop and mobile, customers can login through WeChat, with their mobile number or by registering directly on the platform. For business opportunities, please email us at thmart@urbanatomy.com. Available right now on thMart. Get ¥38 Off Your thMart Order This Women's Day! Win a Lucky Bag from thMart This CNY! Excellent deals on this week's hottest items! Excellent deals on the season's hottest items! Save ¥30 on These Items With thMart's Thanksgiving Coupons! Don't miss these deals on some of the season's hottest items! Get ¥100 Off These Awesome thMart Products for Thanksgiving! Here are thMart's hottest products this week. Save big with these Double 11 deals on thMart right now!